Finding the right tools for team collaboration is vital for a virtual office. Learn the undeniable best virtual office software for your business startup. How important is virtual office software? Setting up a virtual office has a ton of benefits. You lower your overhead costs, your employees have independence and freedom that they didn’t have before. The real question for you is how will you manage your staff? You want to be sure that your company is still producing quality work. That’s where virtual office software tools come into play. They can help you and your team manage projects, stay on top of potential clients and address customer service issues. 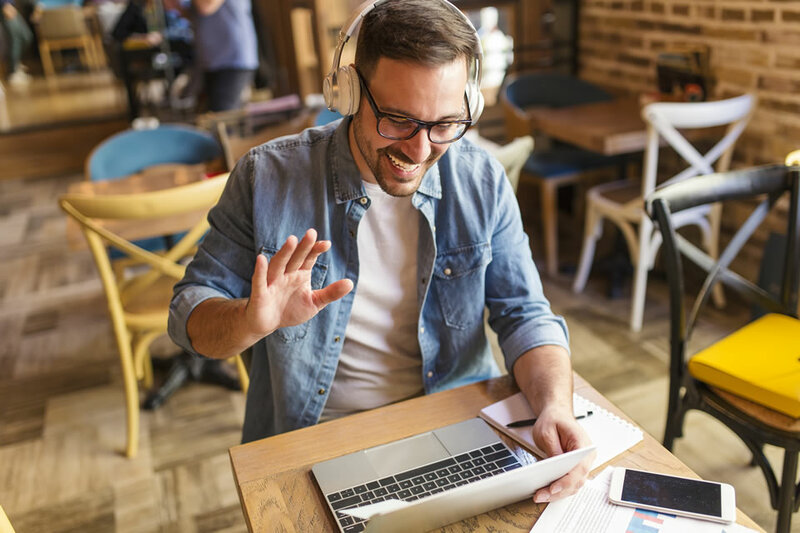 The bottom line is that these tools will help you and your staff deliver a world-class customer experience – from anywhere in the world. Read on to learn what the best collaboration tools are for virtual offices. What Does it Mean to Have a Virtual Office? If your business still operates in a typical office space, you may want to know what it means to have a virtual office. A virtual office is more than just an address. It’s part of your company’s identity. You can have a receptionist to take your business calls, mail forwarding, and have a meeting space when you need it. For folks who work out of a virtual office, there’s nothing worse than passing around a spreadsheet that constantly needs to be updated. How do you know which version is the latest version? You could be updating an older version. You could be updating something at the same time as a colleague, which would potentially double or triple your work. That’s why it is absolutely necessary to have cloud storage. You and your team will be able to work on documents in real-time and have one version of the document to maintain. The top cloud storage solutions are Google Drive, Microsoft’s One Drive, and Dropbox. All of them are affordable and will keep your team organized. You don’t need to invest in expensive servers to keep your documents accessible. You and your staff will be overly reliant on a stable and reliable internet connection to get things done. That’s usually not a problem in the UK, but you do want to make sure that your team isn’t accessing sensitive documents from using a public wifi connection at the local coffee shop. A virtual private network (VPN) will keep wifi connections private and secure. This will help your company keep important data safe and secure from anywhere. When you do invest in a VPN, you’ll want to get a business account. These accounts differ from personal accounts because they focus more on security, rather than giving you the ability to stream content from across Europe. Be advised that not all VPN companies are created equal. You’ll want to sign up with a service that offers fast service, and has servers that are near your location. You’ll also want to check how many devices can be signed up on the account at the same time, and if there are any data limits. The top VPN companies are Nord VPN and Express VPN. Both companies have apps available to download to almost any device, making it easy to connect and configure the VPN connection. As you’re setting up a virtual office, you’re going to want to have staff meetings on a regular basis. You may also have clients spread out all over the UK and beyond. One of the biggest challenges for people who work in a virtual office is to feel connected to the company and other employees. Most people work from a home office and may only talk to other employees every few days. Despite that, there are creative ways to create a collaborative environment. Video software is essential to conduct these meetings and save on travel time for you and your staff. Of course, if you want to make a great impression for clients, you can always rent a meeting room. Zoom has become a popular choice for many entrepreneurs because it’s so simple to use. You have a link, click on it, and that’s it. It’s compatible across devices, too. For the most part, there’s no software that needs to be installed. Only the meeting organizer has to do that. This way, you get something close to a face-to-face connection with your staff. The best part, it’s free to use, and it resides in the cloud. There are no additional IT needs to operate it. If you’re working on a project and you need a question answered pretty quickly, does it make sense to send an email to a colleague? You then have to wait potentially hours for a response. Incorporating a chat app like Slack can save you time and keep your team on track with projects. It can keep everyone focused and on task. To keep projects moving forward, you can connect Slack to many other tools, such as Zoom, Dropbox, OneDrive, Zendesk and more. While Slack is great to messaging when you have a quick question, you need virtual office software that will allow you to know exactly where projects are at. That’s where Asana comes in. It’s a project management tool that streamlines project management. No matter what type of business you operate, a cloud-based CRM is necessary to keep track of your customers and potential customers. A cloud-based CRM will enable anyone to access important client information immediately from anywhere. That’s important for not only your sales team but operations and customer service as well. Having a virtual office has incredible benefits. Your business has less overhead while maintaining the look and feel of a physical location. You give your clients an impressive first impression while saving money. At the same time, your team will appreciate not having to report to an office, as long as the job is done. To make sure your company maintains a high level of quality, it makes sense to invest in virtual office software, such as CRM, security solutions, and productivity apps. These tools will inspire your team to remain connected and produce quality work. Want to know more about having a virtual office? Contact us today.